Neither AAGL nor its affiliates provide medical advice, diagnosis, or treatment. The content of this website is for informational purposes only, and is not intended to be a substitute for professional medical advice, diagnosis, or treatment. Never disregard, avoid, or delay in obtaining medical advice from your physician or other qualified health care provider because of information provided on this site. If you have or suspect that you have a medical problem or condition, contact your physician or another qualified health care professional. If you think you may have a medical emergency, call your physician or dial 911 immediately. Neither AAGL nor its affiliates recommend or endorse any specific physician, procedure, product, opinion, or other information that may be mentioned on this website. Reliance on any information provided on this website is solely at your own risk. The AAGL ‘Physician Finder’ is provided by AAGL for use by the general public as a quick reference of information about physicians. The Physician Finder is not intended as a tool for verifying the credentials, qualifications, or abilities of any physician contained therein. 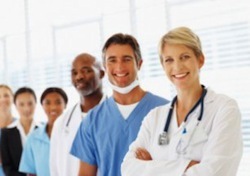 Inclusion in the Physician Finder does not imply recommendation or endorsement nor does omission in the Physician Finder imply disapproval by AAGL.